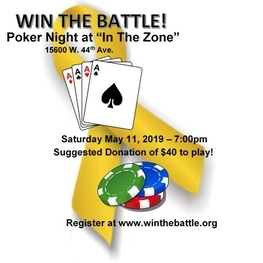 Join us for a night of Poker and Fun at "In The Zone" on May 11th. Register today! 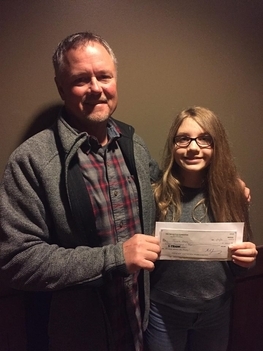 We are now taking applications for the 2019 Nate Jurney/Leanna Cagle Scholarship. Click here for eligibility and criteria. Applications are due June 17, 2019 for awarding on July 17, 2019. We've been on a roll lately providing "Do What Makes You Happy" gifts to several kids battling cancer! See our recent recipients in the right hand column. Our Mission is not complete however. We need your help to continue providing these gifts and scholarships. If you would like to help and donate, please click the "Donate" button below. 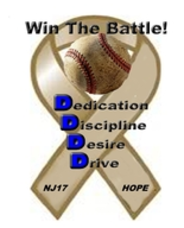 Funds received by "Win The Battle" will be distributed to young athletes and their families in need to help offset medical costs and to provide wellness opportunities. Additional funds will be distributed to other cancer support and research organizations. Memorial Contributions in Loving Memory of Nate Jurney, Leanna Lou Cagle, Wilbur "Skip" "Moose" Johnson and Ian Tuthill can also be made by following the donation information above. Have an idea for a WTB Event? Or want to host an event? We would love to hear your ideas! We would like to thank all of our Volunteer contributors and Corporate Sponsors (separate from the Foundation donors for our Scholarships and Gifts) for their help in securing the scoreboard at Nate Jurney Field at Ralston Valley High School! Applications are being accepted for the 2019 Scholarship. Eligibility and Criteria can be found here. Application deadline is June 17, 2019. 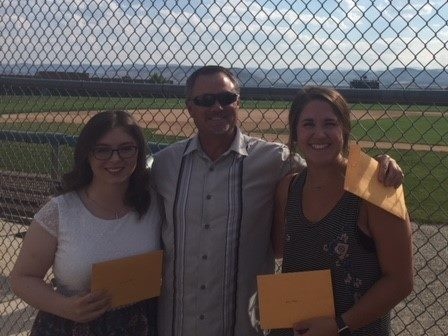 Once again in 2018, we awarded 3 Nate Jurney/Leanna Cagle Scholarships to qualified candidates! Congratulations to our recipients, who all attended Faith Christian High School! Mikayla Martin is attending Gordon College in Boston where she will study International Affairs and Sociology. Holli Finch is attending Southern Nazarene University to pursue a Nursing degree. John McDonough is attending the University of Alabama to study Mechanical Engineering and pursue a pre-Med track. To see all of our past Scholarship recipients, click on the "Recipients" link. Poker Night May 11, 2019! Join us for an evening of Poker, raffle prizes, food, drink and MMA at "In The Zone"! Pre-registration is needed for final table counts and ensure we can accommodate all. Reserve your spot today by registering here! See below for our most recent Recipients. All recipients can be seen on the "Recipients" page. Hannah is an adorable 5th grader battling ph+ ALL. Funny, kind and active, we're honored to be able to put a smile on her face and allow her to do something for herself to make her happy. Thank you to all of our supporters who make gifts like this possible! Brysen Graham receives a “Do What Makes You Happy” gift. 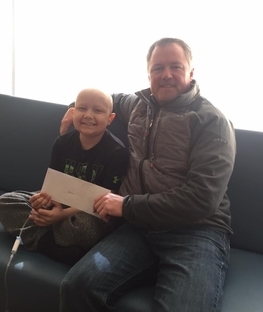 Bryson is a smiling, bright 9 year-old battling Ewing’s sarcoma. He’s a big football and basketball fan who just finished his last round of chemo. We’re honored to put a smile on his face! 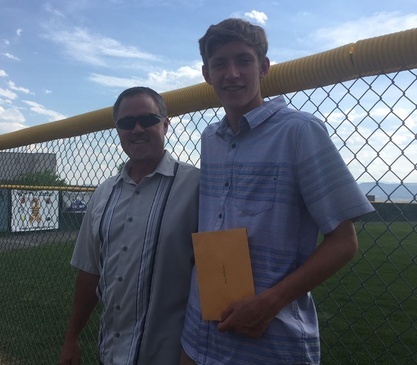 Another “Do What Makes You Happy Recipient”, Logan Walstrom. 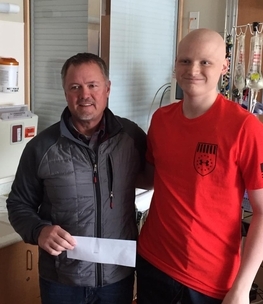 Logan is an amazing young man battling Ewing Sarcoma who finished his last round of chemo! He’s a member of the Navy Sea Cadet Corp and is a sports enthusiast. We’re honored to bring a smile to his face and wish him the best! Our first “Do What Makes You Happy” recipient of 2019 is Taylor Vasey. 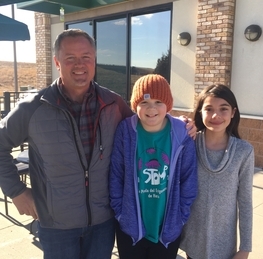 Taylor is a beautiful 12 year-old girl who was born with a kidney tumor. After undergoing chemotherapy and surgery to remove her kidney, she’s cancer free!